have you received wonderful gifts, did you spend the time with the family and relaxed? 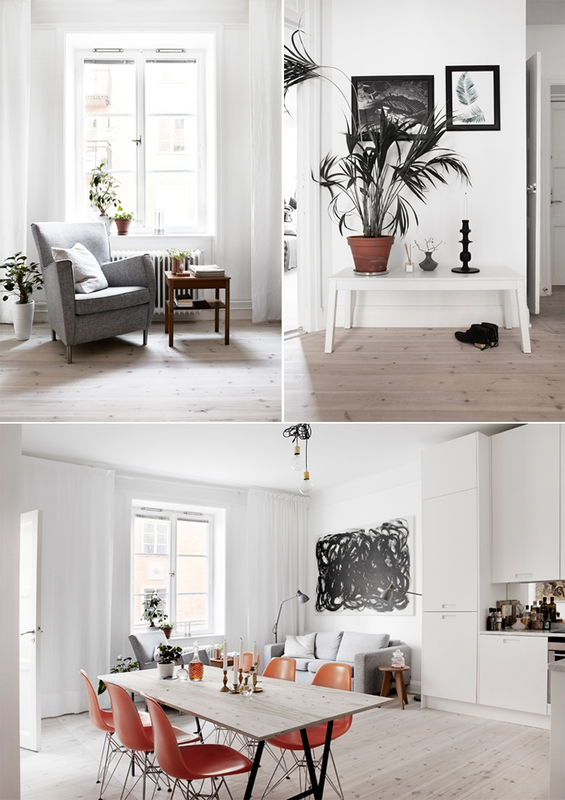 i admit that i’m a person who just can’t sit and do nothing and that’s why i was browsing the internet and found this lovely stockholm apartment. 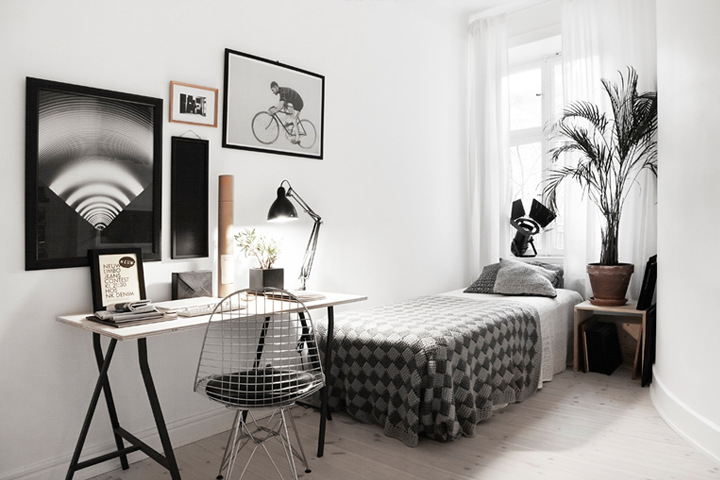 Iit looks very cozy and calm to me with beautiful floor styling ideas and lovely accents. надявам се да сте получили чудесни подаръци, да сте прекарали приятно време със семейството си и да сте си отдъхнали? аз си признавам, че никога не съм била от тези хора, които могат да стоят с часове на едно място и да не правят нищо. точно и заради това си разглеждах из интернет и попаднах на този красив стокхолмски апартамент. изглежда ми много уютен и спокоен със красив под, стайлинг идеи и красиви акценти. Lovely apartment…hope you enjoyed a lot with family and friends. Merry christmas. Merry Christmas! I loove the details in the apartment! Where are all the posters and frames from? I get mine at http://www.artworkheroes.com but I am still looking for more! I love the cyclist in the office! Thanks for info in advance! 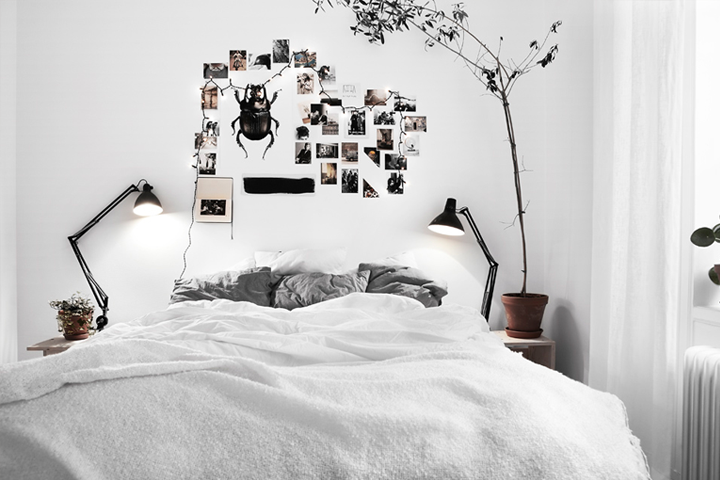 I love nordic decor, specially the last picture! I'm still decorating my bedroom so I'll take this idea, thanks for sharing it! Love these chairs! Great accent! oh boy! 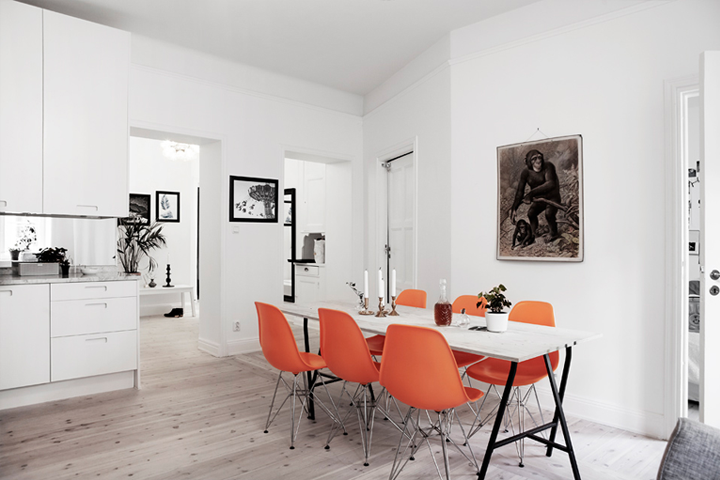 these orange chairs are calling me for dinner! I love this clean look with the coloured details. It's still warm, i really like it. So calm and beautiful! The colour accent with the dining chairs is amazing. Love this apartment! Marry Christmas and Happy New year to you too!